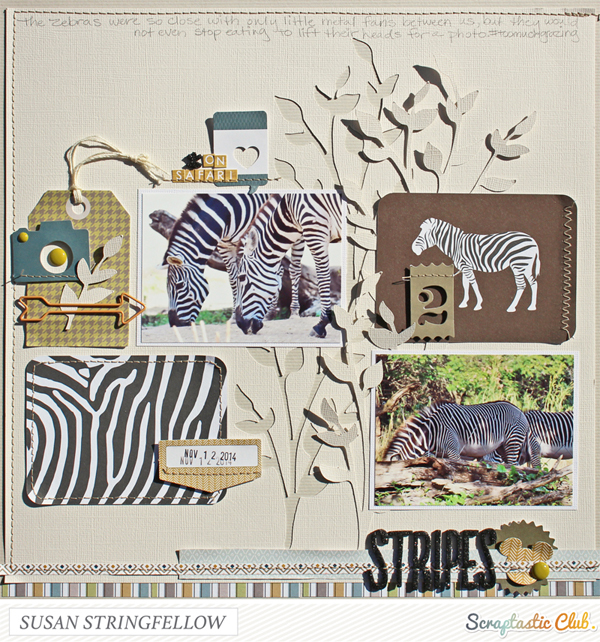 Today I am going to share some inspiration to pull out those cards for pocket pages and use them on your layouts or cards. 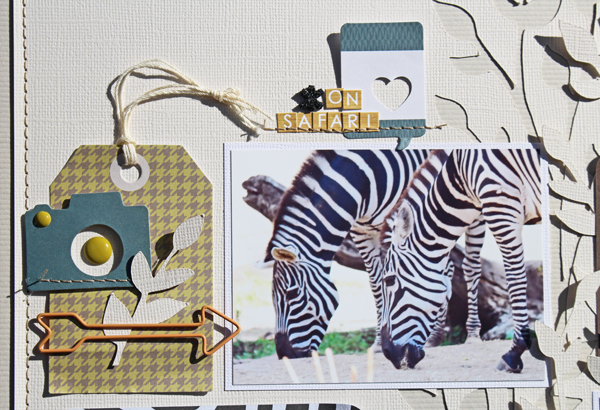 If you are not a pocket page scrapper, that should not keep you from taking advantage of some of the great products in the Scraptastic Store like these Animal Project Life Cards by Becky Higgins. 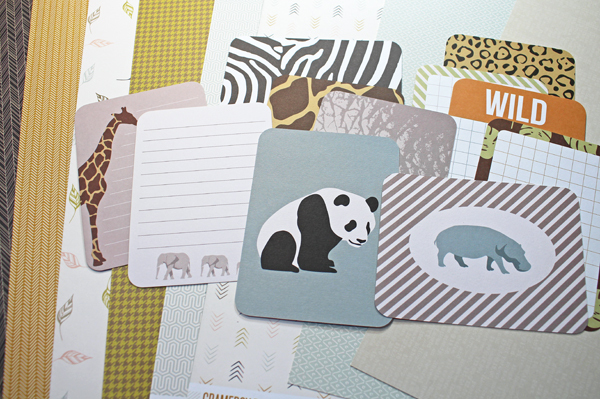 There are 3x4" and 4x6" Animal cards, and two of each card in this pack that are two sided with another design on the back so you can choose your favorites to use. I know I will need to use that cute hippo more than once! I only got a couple of photos of the zebras because they just would not stop eating and pose for a photo. Just take a look at the perfect colors and designs of these Animal Project Life Cards by Becky Higgins., such cute animals too. 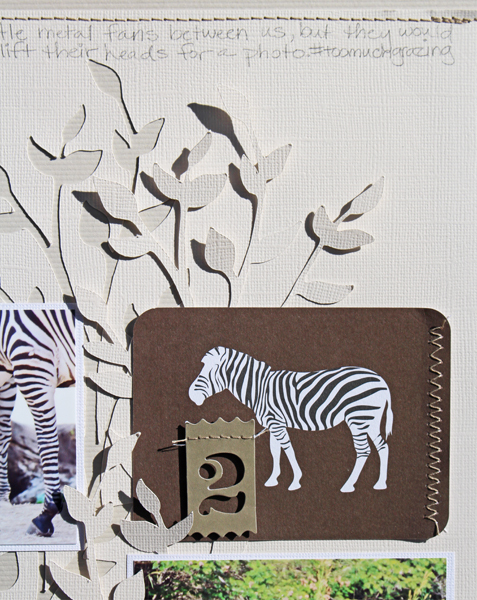 You can grab an animal card, then an animal print card, and journaling block to put with a couple of your photos and the page creates itself really. And I was quite excited when I realized that they match one of my favorite collections, the Gramercy Road Collection by Gossamer Blue. The Black Glittered Foam Thickers that I chose for the title are a great "go to" black alpha for just about any layout. I like that they are tall thin letters so that if I wanted to spell out a longer title, I would have space. Love how this came together! I've been lost in your blog for an hour now - great stuff! 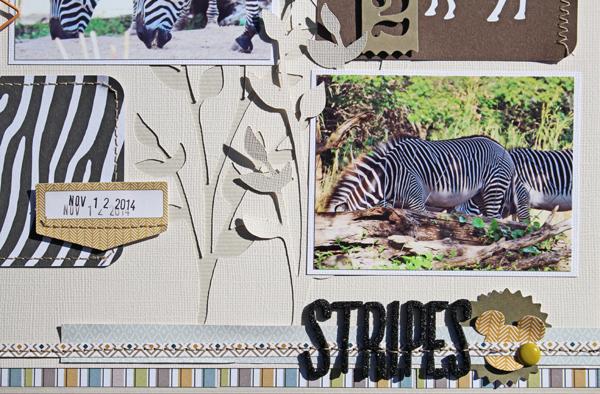 May I ask where I could buy the cut file you used in Stripes?